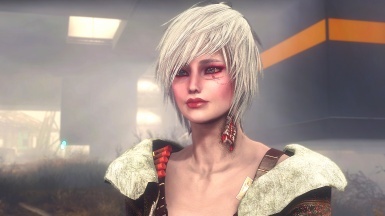 Ciri (The Witcher 3) LooksMenu Preset For Ciri's makeup, scar, eyebrows, and hair color. 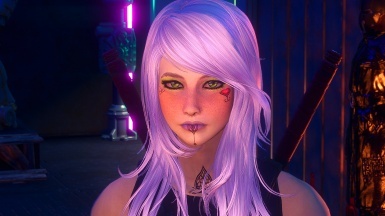 Enhanced Vanilla Face Presets For Females Only if you're not using or cannot use 4K faces. Gwynn-A LooksMenu Preset Not aware of any parts used. Just in case. Helena and Valentina face preset. John Wick (Keanu Reeves) Preset *Probably just as necessary. Should work without it, though. You'd just be missing some insignificant extras. Just Some More Faces Pretty much required. Lara Croft 2013 LooksMenu Face Preset Final Revision https://www.nexusmods.com/fallout4/mods/24830/? Miranda Lawson Inspired Preset Required for "edgy" edition. PIPA - Pretty in Post-Apocalypse - A LooksMenu Preset Probably won't look right without this mod. Sola's Kelly Atalanta pre-set (-CBBE- compatible) Needed. Main file. Sophie - Female LooksMenu preset For makeup, eyebrows and other textures. If you want to release a looksmenu preset that requires LMCC then you don't need to ask. It's back ladies and gentlemen~! to customize your male and female character such as face paint, tattoos, scars, makeup, brows, haircolors, etc! These are the generous modders who made this all possible! Some Patches are still missing due to the original mod page being deleted by a possibly compromised mod author account so please be patient if you are currently using 2k face textures or the HD dlc pack.